Pointing out that a majority of people in India still lived in its villages, President Pranab Mukherjee on Friday said he believed our country will develop only when the villages develop. "Even today, 68 per cent of our population lives in the villages. 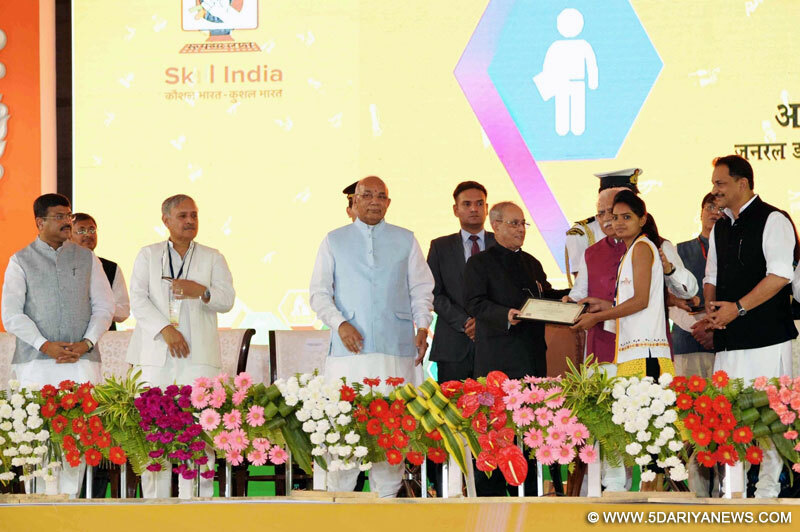 If we want that our villages should prosper, we will have to improve our economy's structure," President Mukherjee said at Daulha village in Gurugram district of Haryana.The President said the Indian villages not only have the capacity to develop but are also eager for development. "If we keep moving ahead in this manner, the day is not far off when our youth will need not leave villages for cities in search of better avenues," Mukherjee said. "It will also be possible to complete education of girls in nearby villages. Good and affordable health services will be available to all and the youth will get training and employment in the vicinity of villages itself." He was speaking after laying the foundation stone of a driver's training institute and a school under the SMARTGRAM Initiative of Rashtrapati Bhavan. He also e-inaugurated new Pradhan Mantri Kaushal Kendras at Mahendragarh, Ambala and Palwal.The President said that when the SMARTGRAM Initiative was started on July 2, last year, he was sure the work done to make President's Estate in the national capital a Smart Township could be replicated in villages as well.With the help of the Haryana government, Rashtrapati Bhavan had selected five villages in the state, including Daulha, and taken a number of initiatives for their development.In view of the success achieved in these five Haryana villages, the programme has since been extended to 100 villages.He said the success in SMARTGRAM Initiative is possible only when the government and private sectors, academic institutions, non-governmental organisations and villagers come together for the development of their villages.